Between the roller coaster weather we’ve had over the past week (everything from the 80s and sunshine to the 30s and sleet yesterday), and the arrival and departure of the Cherry Blossoms, its fully evident that Spring has finally arrived in DC. If you follow me on Instagram than you’ve already seen a preview of some of my favorite pictures of the blossoms! 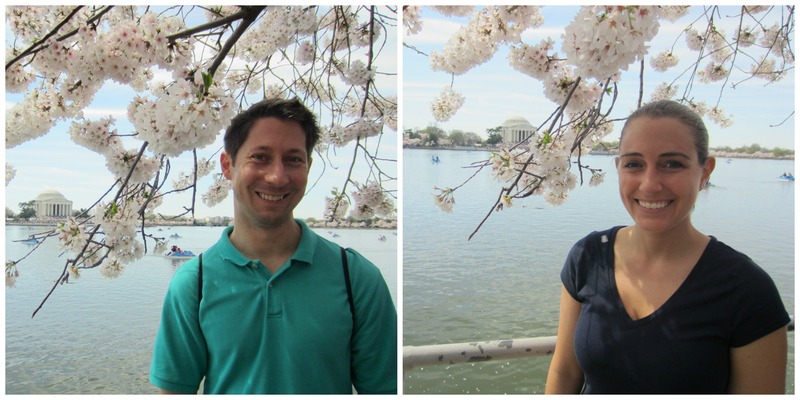 I absolutely love Spring in DC, and one of the reasons I love Spring so much is because of the Cherry Blossoms. The Cherry Blossoms hit their peak bloom on Thursday, and I think I caught what was probably the last day of peak bloom on Monday. This year, I was fortunate to able to see the blossoms on two days. We spent about an hour at the Tidal Basin on Saturday morning enjoying them before grabbing lunch and then participating in the Run As One. Yesterday afternoon I spent several hours walking around the Tidal Basin and the National Mall enjoying the blossoms once again. One of the things I love most about the blossoms is how they attract so many people to walk the loop around the Tidal Basin. They promote activity and get people moving. It doesn’t matter how fast you’re moving, just getting outside, enjoying the scenery, and walking around is exercise. This was the first year that I was able to visit the blossoms on two different days. It was incredible to see the difference in the blossoms from Saturday to Monday. 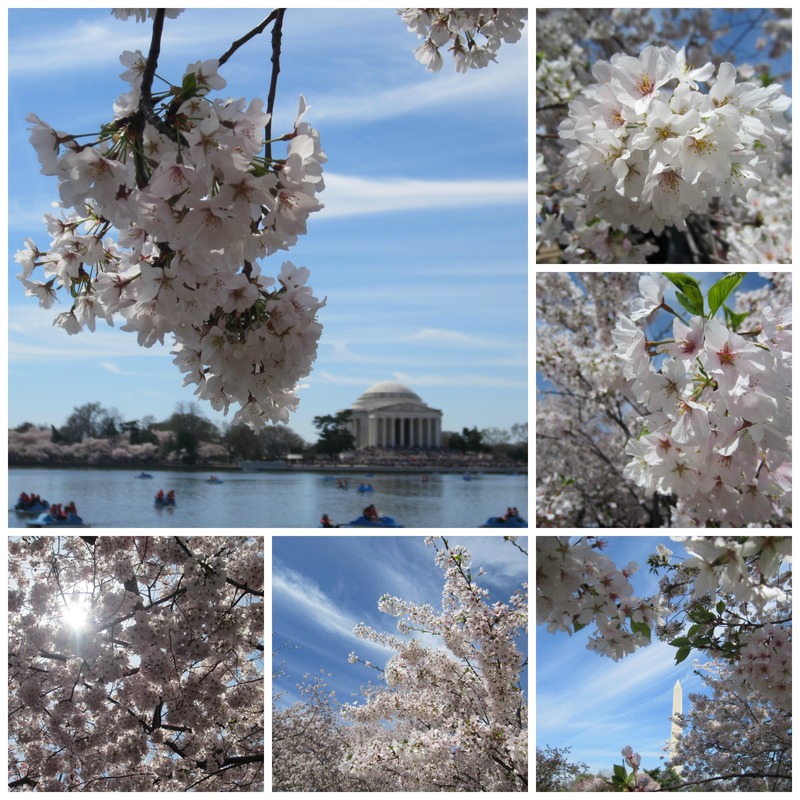 I think the pictures speak justice to not only their beauty but just how short lived the peak bloom is, and how quickly the blossoms turn from white to pink. 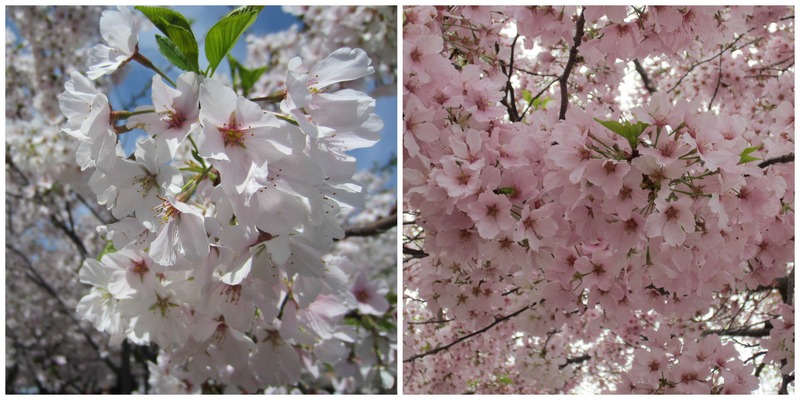 The blossoms on Saturday vs. on Monday – what a difference in color! Have I convinced you yet that Spring in DC is amazing? QOTD: What are your favorite signs of Spring’s arrival where you live? 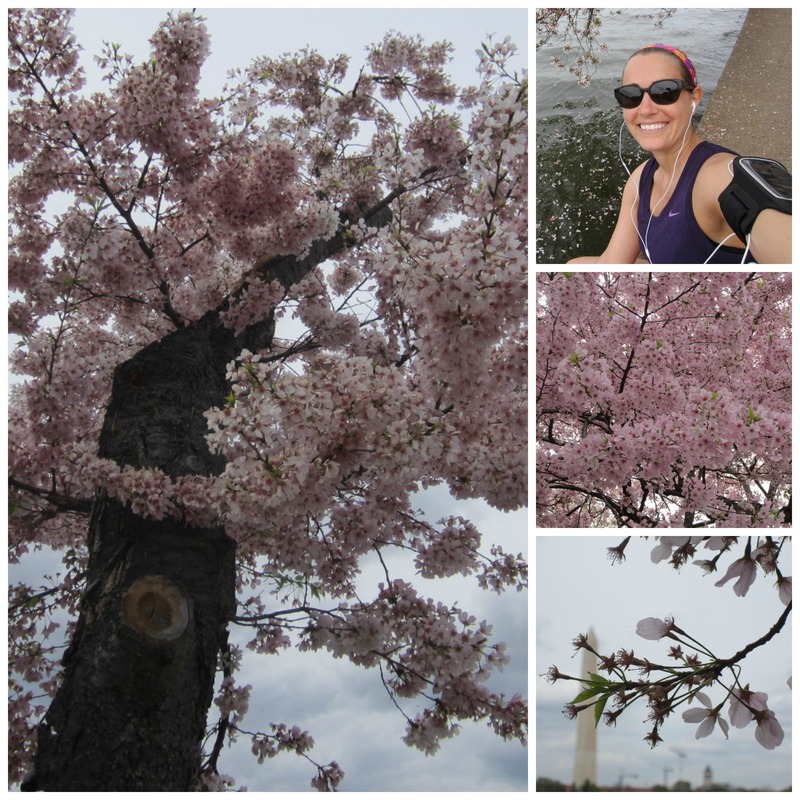 This entry was posted in Miscellaneous and tagged Cherry Blossoms. Bookmark the permalink. 15 Responses to Cherry Blossoms! 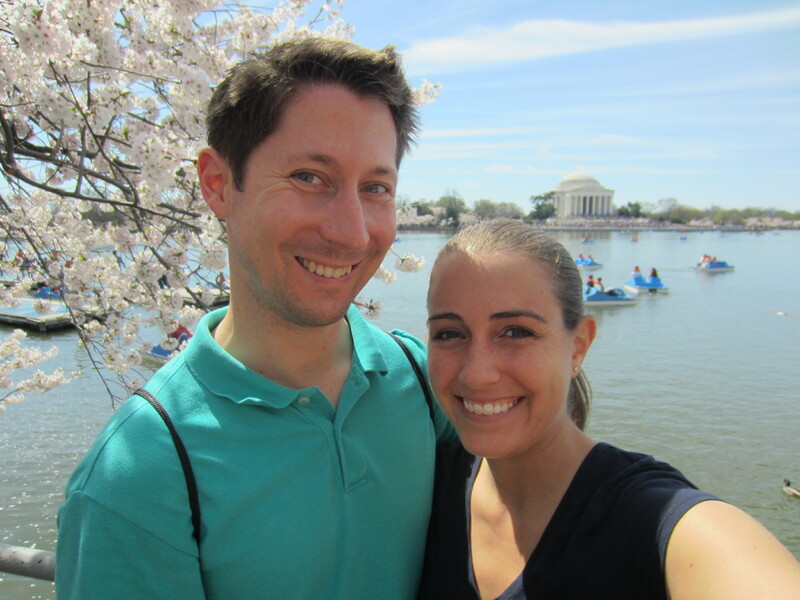 Used to love visiting DC when I was younger just to see the cherry blossoms (i’m from PA – so not too far away). DC = amazing! Loved all your pictures. I heard the National Arboretum also has Cherry Blossoms. I will have to make sure I visit them next year during peak bloom. Thanks for sharing – I’ll have to make sure to go there next year! Wow, such beautiful,inspiring, and amazing pictures!! Such peace! Very beautiful! We have a Magnolia tree that I always look forward to seeing bloom! Unfortunately the flowers don’t stay on it very long! Its the same with the Cherry Blossoms. I wish they would stick around much longer than they do! I absolutely agree that I love how spring weather around here gets everyone out and about. I love seeing people hanging out outside again. And it’s not just around the tidal basin but I see more people on my walks around the office, we saw a bunch of people picnicing at Rockville town center, etc. Those cherry blossoms are beautiful! You know when it’s starting to get nice in va beach when hen the tourists start coming in the area and you have to weave in and out between them on the boardwalk during your run. I can only imagine how quickly the boardwalk gets crowded once the weather gets nicer. I wish I could run at the beach all the time! Hope you have a great visit next weekend!